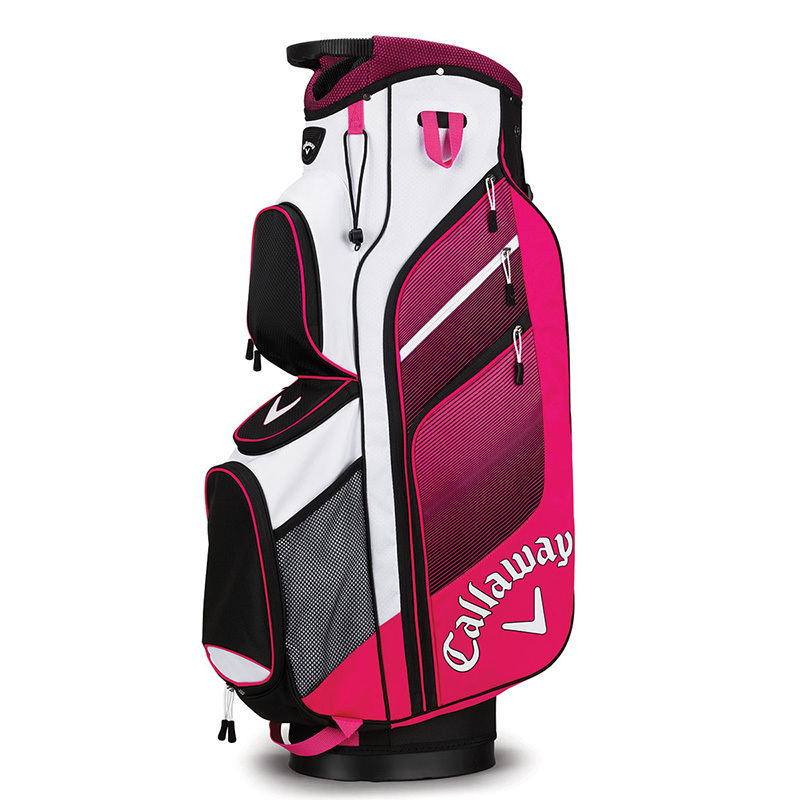 This modern styled graphic print cart bag offers convenience and storage, to enable you to enjoy your golf in full. The bag features pockets which are ideally placed for use when on your mode of transportation, which include a ball pocket, full length apparel pockets, and a water-resistant pocket with velour lining to protect your most valuable assets. 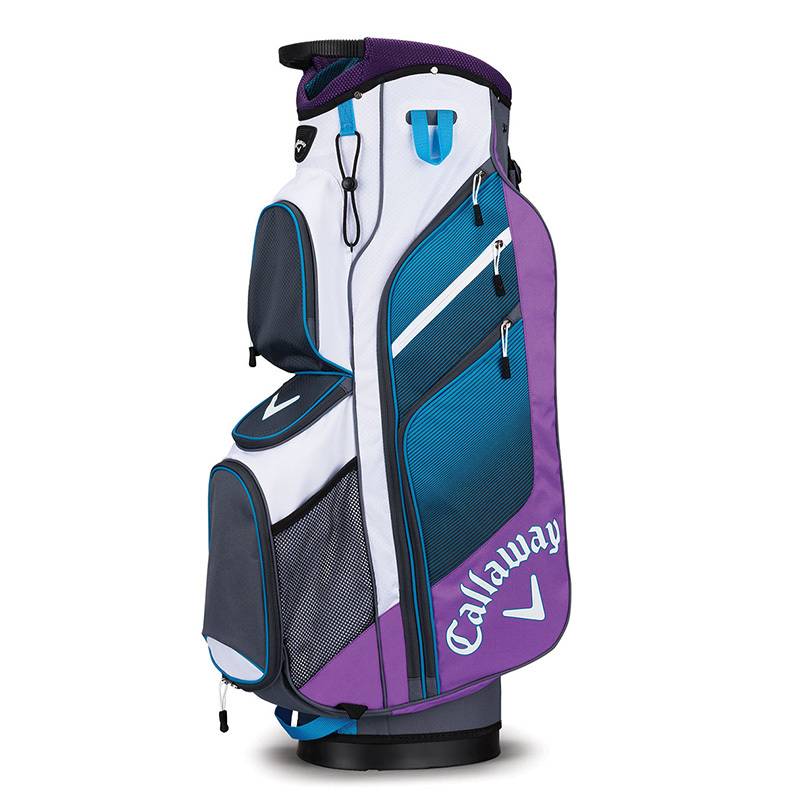 The top of the bag features a moulded grip handle for easy lifting, and a 14-way divider, which are full length for easy club retrieval. Other features include an umbrella attachment, towel loop, and easy access accessory pocket. Weight 4.6 lbs and comes complete with matching rain hood.